John McLachlan presents an intimate end-of-summer concert featuring songs from his new album Love & Regret as well as other originals drawn from his 35 years of songwriting. The new album features new, old, and some never recorded pieces delivered in an acoustic setting. 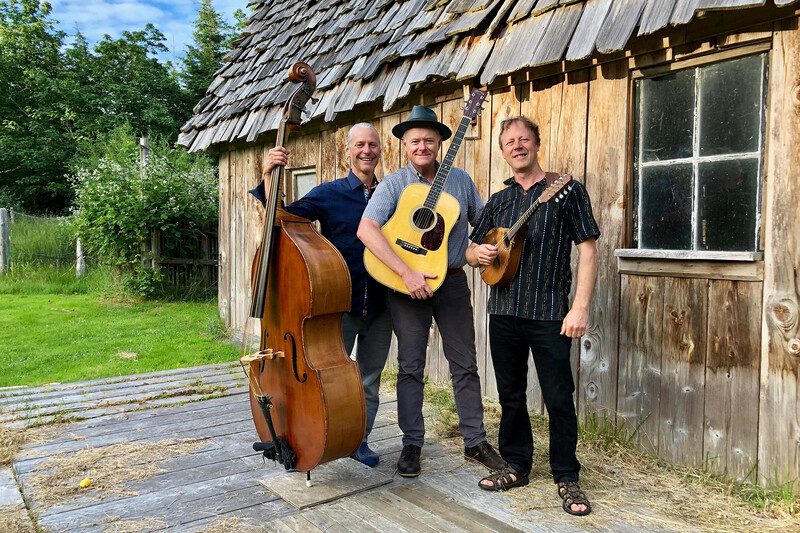 Though “regret” may be in its title, there is only love in the recording which was done on Hornby Island “live off the studio floor” with his trio featuring Marc Atkinson on lead guitar/mandolin, and Scott White on acoustic bass. Honesty and heart is what they will bring to the stage of the Hornby Island Hall. The show will be accompanied by images projected behind the performers that depict and bring to life many of the songs which, range from the personal and local to the historical. NOTE: Tickets for Youth 17 and under are $5 and available at the Coop Gas Bar in Advance or at the Door.